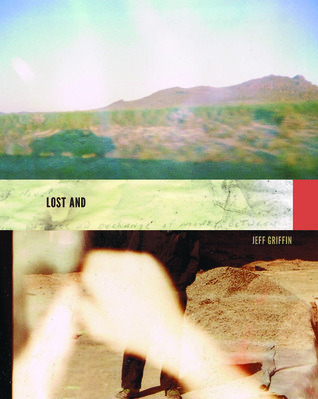 Lost and by Jeff Griffin, published by University of Iowa Press, feels more like a scrapbook than a poetry collection, and while there were poems included, most everything in the book are scraps he gleaned from his travels into the desert. Some of these pieces are lists, photos, and other scraps, including a letter from a woman to her alcoholic partner. While these items may reflect communities that have once thrived in the desert and are now abandoned, the collection is not what most readers would expect and there is little to link these pieces together. Ever since he was a child sitting in the back of his parents’ car, Jeff Griffin has been taking explorative journeys into the desert. In 2007, as an art student, he started wandering the back roads of the Mojave Desert with the purpose of looking for a place to reflect in the harshly beautiful surroundings. What he found were widely scattered postmodern ruins—abandoned trailers and campers and improvised structures—whose vanished occupants had left behind, in their trash, an archaeological record. While Griffin’s efforts to create an artistic rendering of these emptied communities, trailers, and lives, the pieces could have been better tied to one another with some text, explanation, or other commentary from Griffin. In many ways, the collection could have benefited from a demonstration of how Griffin was influenced or inspired by these pieces to create his own art — though the book itself is his modern art from those journeys into the Mojave Desert. Lost and by Jeff Griffin, published by University of Iowa Press, just didn’t work for me, but perhaps I’m not the target audience for this one. Jeff Griffin is a graduate of the Iowa Writers’ Workshop and an associate at Griffin Moss Industries, Inc., and he operates the publishing house Slim Princess Holdings. He lives around Nevada. 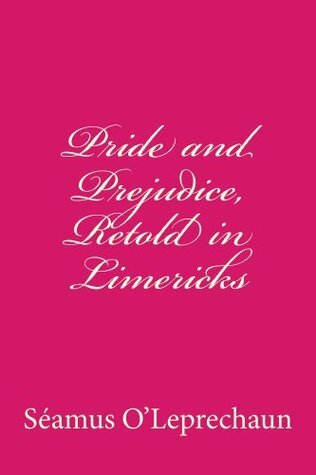 Pride & Prejudice: Retold in Limericks by Seamus O’Leprechaun is a retelling of Jane Austen’s Pride & Prejudice in Limericks! Yes, you read that correctly. When Anna told me she had something I could read for 24-hour Read-a-Thon, I was all over this one. I LOVE Limericks! O’Leprechaun, which clearly has to be a pen name, captures the wit and tension between the characters so easily in just a Limerick. It was highly appropriate that I read it for the read-a-thon and National Poetry Month. Now Darcy has altered his drive. What haunts him? A pair of dark eyes. Liz Bennet - he years for this prize. Through a rain-soaked contrivance most bold. Where Liz waits as the symptoms unfold. The machinations of Mrs. Bennet to ensure that her daughters are married off before her husband dies, and her anger at Lizzy for turning down Mr. Collins also come off as ridiculous as Austen intended. O’Leprechaun uses his skills well in these poems to flesh out the novel in poetic form. Many of these poems will make readers laugh out loud, giggle, and shake their heads in amusement. Either Lizzy or Jane will suffice. To be wed by a blockhead - that's life. Pride & Prejudice: Retold in Limericks by Seamus O’Leprechaun is just so much fun, and totally worth the short time spent reading it, reliving the best moments of Austen’s book. Also, it’s a great way to celebrate poetry. Life is full of potholes, those moments where things are thrown off track. Wenke is adept at twisting subtle insults and jabs into something that can be admirable, like being considered “Choosy” which means the narrator had the fortitude to choose the partner he’s with and calling him choosy. Wouldn’t you want some who is discerning pick you? Many of these poems lack a sense of regret, but applaud the sense of acceptance and living in that moment and making it the best. “Lying Liars” is a poem steeped in irony, with the liars continuing to spin their tales to your face and behind your back because that’s all they know how to do. But the rub is that the people they speak to don’t believe them, and the liars end up deceiving themselves. 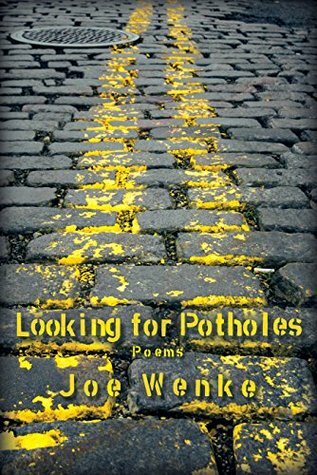 Looking for Potholes by Joe Wenke is a little bit more serious than Free Air, but these poems are still infused with wit and satire. The turns of phrase can sometimes catch readers off guard as well, but these poems are well worth the read. DR. JOE WENKE, an outspoken and articulate LGBT rights activist, is the owner and managing partner of Xperience, a multi-million dollar marketing communications and production company with offices in New York, Boston and Detroit. He is also the founder and publisher of Trans Über, a publishing company with a focus on LBGT rights and promoting freedom and equality for all people. He began his career as an editor at the Foundation Center in New York City. He was a speechwriter at Avnet for Tony Hamilton, the founder of the global electronics distribution industry, and wrote speeches for George Conrades, the head of IBM US. As a senior vice president at Caribiner International he served as the company’s lead communications strategist and head of global accounts. Wenke received an M.A. in English from Pennsylvania State University and a Ph.D. in English from the University of Connecticut. He is a regular columnist in the Huffington Post. His books look into the religious underpinnings of LGBT discrimination in America, including YOU GOT TO BE KIDDING! The Cultural Arsonist’s Satirical Reading of the Bible. His next book, PAPAL BULL: An Ex-Catholic Calls Out the Catholic Church, will be published later this Fall. He is also author of “Mailer’s America” about the lifework of Pulitzer-prize winning American author Norman Mailer. 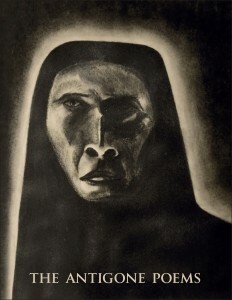 The Antigone Poems by Marie Slaight, with charcoal drawings by Terrence Tasker that resemble the one on the cover (who may be is Antigone), is unique in that it is inspired by the Sophocles play but that it is not explicit in its references. Antigone is the third in the Theban plays written by Sophocles and she was a very stubborn character who fought for her familial duties. She is not only stubborn but very passionate about her beliefs. The Antigone we meet in these poems is very passionate and very torn, but there also is an underlying darkness to her actions. Slaight brings out her inner fears of death, which she believes is imminent even as she continues to defy the authorities and the gods with her actions out of duty. Slaight employs some fantastic imagery, like “If this perfume doesn’t burst/It will twist into venom.” (pg XVII) and “Silence and decline/And a veil of grey descending.” (pg. LXXIII) Coupled with the stunning charcoal drawings from Tasker, which remind me of the Greek masks worn when the old plays were acted out, the collection evokes deep sadness, turmoil and concern. One of my favorite images is a side profile in which just the face is shadowed on a cream background and the hair is left without definition. There is a fierceness in the woman’s brow and chin, but sadness can be found in her down-turned mouth. Your anguish sought this blackened veil. Your anger wrought this iron hell. The Antigone Poems by Marie Slaight, with charcoal drawings by Terrence Tasker, is a fascinating collection of passionate and terrifying poems depicting the inner turmoil of Antigone, who fought for what was morally right and what she thought of as her duty to her brother. She gives up everything with her battle to bury her shamed brother, including her betrothal to the prince of Thebes. Slaight has a deft poetic hand when it comes to this tortured and head-strong character. Her poems are cryptic, but infused with strong emotion. Some surface background on the character of Antigone may be needed to fully grasp these poems, but on the surface, they could be spoken by any such woman or man. MARIE SLAIGHT (1954-) has worked in Montreal, New Orleans, and Buenos Aires as a writer, producer, and performer. Now based in Sydney, Australia, her poetry has appeared in American Writing, Pittsburgh Quarterly, Poetry Salzburg, The Abiko Quarterly, New Orleans Review and elsewhere. Slaight is currently the director of Altaire Productions & Publications, a Sydney-based arts production company, which has been involved in such films as the award-winning documentary Bury the Hatchet, Kindred and Whoever Was Using This Bed. TERRENCE TASKER (1947-1992) was born in Saskatchewan, Canada. 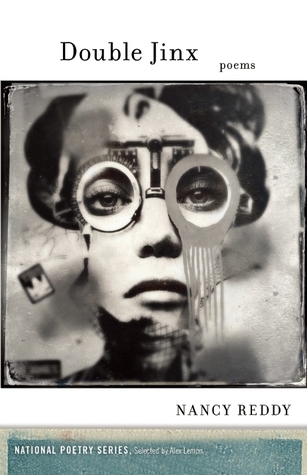 Raised in rural western Canada, he went on to become a self-taught artist and filmmaker. He co-founded and built the original Studio Altaire, a 90-seat theater and visual art gallery that also ran after hours jazz concerts in downtown Montreal. He worked as a set builder as well as working in construction, mining, finance, industrial installations, taxi driving and film projectionist. 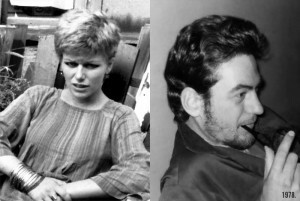 He created the artwork for The Antigone Poems in the 1970s, while living in Montreal and Toronto. Although today is technically the end of National Poetry Month, my poetry reviews for #NPM15 will continue into May because I read way more books than I thought for the month, thanks to the Dewey 24-hour read-a-thon! To wrap up this year’s National Poetry Month tour, I’ve got a great interview with Luanne Castle, author of Doll God (my review). 1. Re-examining our childhood and our pasts is something that echoes throughout your collection, Doll God, and there is a deep sense of anxiety and loss tied to those reflections. When did you first start examining your own childhood and past and how does anxiety and loss tie into that self-examination? My childhood has always loomed over me, both for its anxieties and its imaginative qualities. I also write and have published prose based on my childhood experiences. When I was a little girl my father built a bomb shelter in our basement. We were in the middle of the Cold War, and there was fear and tension in our lives because we thought “The Bomb” could drop at any moment. So childhood has always crept into my poetry, although I didn’t start to examine it with purpose until about 6 or 7 years ago, which is when I began to spend more time writing. 2. Dolls are prevalent throughout the collection. Do you think dolls still play a pivotal role in young girl’s lives? And how do you think their role has changes with the evolution of technology? Dolls are still important to society–and to many young girls. When I was a kid not all girls preferred dolls to other toys, and that is still true. Even I had as much fun with my cement mixer and “army men” as I did with my dolls at certain periods in my life. Actually, army men are really dolls, now that I think about it! But dolls have stayed close to the essence of my childhood. Boys also were given dolls when I was a kid. We were probably the first generation where boys like my brother were given G.I. 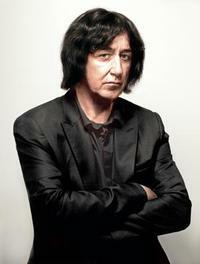 Joe dolls. My brother had Chatty Cathy’s baby brother with a sweater and cap knitted by my grandmother. Since then, so many different dolls and doll-like figurines have been created for both boys and girls. Technology has slightly altered the doll-scape in two ways. We have many “throwaway dolls.” By that I mean that the discretionary income and low-cost overseas production has created an abundance of dolls found on the shelves of Target, Wal-Mart, and Toys R Us. Dolls are often $5-10 birthday presents for girls. Too many Barbies? Lose one at the grocery store, pull off the head of another. For many fortunate children, there will always be another Barbie. The other way technology has affected the doll industry is that dolls are produced to capitalize on the popularity of movies, television shows, and computer games. While this trend started 100 years ago, it has grown as technology has grown. Now a huge portion of dolls at the major store chains are related to these technologies. 3. How much of your poetry is autobiographical? How far does it stray from your own life? In other words, where is the line between fact and fiction? Sometimes a poem starts out autobiographical and strays into the fictional without me even realizing it. Other times a poem might begin as fiction, but by the time it’s completed, it has incorporated a lot of elements from my own life experiences. A reader would be hard pressed to find the “line” between the two in my work. And I think that is as it should be–to read poetry as confessional is dangerous and limits the reader, the poem, and the poet. 4. Do you still collect dolls? How many are or were in your collection? I didn’t begin an actual doll collection until my daughter grew out of her dolls. When she was no longer interested in them, I became fascinated and still have all of hers. As a child I had baby dolls, but that was because once I was given a doll I didn’t lose it or abuse it, so over time I had a fair number. But never a collection. We didn’t have the money for that. I didn’t even own a real Barbie. My Barbie was a Miss Suzette by Uneeda. But I did have a Ken doll and a beautiful toddler-sized walking doll who may or may not have ended up in Doll God. My husband and I love antiquing and in the past ten years I’ve accumulated quite a few dolls. I have a decent collection of Asian dolls, including Japanese hakatas. I also collect Magic Attic Club, Madame Alexander, cowboy and cowgirl, Red Riding Hood, literary, and Broadway musicals. 5. Writing is a solitary endeavor for many authors. How do you maintain contact with the outside, and how does that differ from the experience of reading your work aloud for an audience? I maintain contact by connecting with my writing peeps, both in person and through email and phone calls. Then blogging and social media are other ways I feel a part of the outside world. These are important for social reasons, but also for educational purposes. I learn a lot from my fellow writers. I am not fond of being in large groups of people, but I do enjoy the act of reading my poetry, which is a performative experience. I recently was interviewed on a morning television show and was asked to read one of my poems. That was fun. I have also been known to read to rescue kitties at the shelter once a week. In the past I’ve read my poetry at various events, but since Doll God was published, I haven’t been able to read publicly. I hope to change that in the near future. 6. Doll God is your first collection. How long have you been writing poetry, and how long did it take you to create your first collection? Are you planning a second? I first wrote poetry when I was in about 5th grade. My first poem rhymed and was about an old woman in a rocking chair. Chair is a good rhyming word. I took up writing poetry again in high school and wrote very melancholy poems. I turned in a poem for an English class assignment and received a B+ on it–my lowest English grade. That’s when I decided that teachers shouldn’t really be putting letter grades on students’ creative writing attempts. I have a whole philosophy about the teaching of poetry. When I started college I was encouraged to look ahead to getting a job, so I set poetry aside until my husband and I adopted our first child from Korea. I wrote a poem about picking him up at the airport and the floodgates opened. Soon after, I applied to the MFA in creative writing program at our local university and began studying writing in earnest. My current project involves “genealogy poems” based on research I’ve done on female ancestors. I’d like to create a chapbook from these poems. Thank you so much for hosting me, Serena. I loved that Doll God could be part of your book tour. These questions were great fun and really made me think in ways I haven’t before. 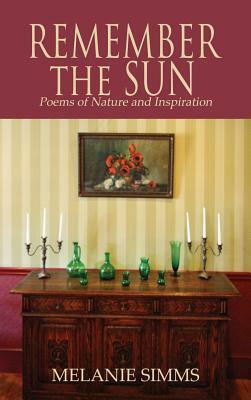 Remember the Sun: Poems of Nature and Inspiration by Melanie Simms, published by Sunbury Press, features poems and Lawrence Von Knorr’s photographs of Sunbury, Pa., and other local areas in the region. In many cases, the photographs give additional life to the poems in Simms’s volume, but in others it is unclear how the poems and the photos connect. Despite that, the photos are gorgeous, particularly the local shops and the pictures of the Susquehanna River. Simms’s poems are chock full of imagery from ghosts harkening back to the past journey of Edison to the shadow puppets on the walls, but her verse examines not only the natural world, but the relationships between mothers and daughters, mothers and sons, and lovers. "She's your mother," he says. "We have to honor her spirit." in the cupboard in the kitchen). some part of her remained. Don’t we all want to keep a piece of our loved ones close, and we often very rarely realize how selfish that is. Is it better to honor their wishes or to keep them close? We all struggle with this dilemma at one point or another. Simms’s verse is historical and modern, and it is emotional and contemplative. There is something for every reader in this collection. Her collection also contains quite a few poems in which journeys are made — journeys to bury the dead, journeys away from and returning to loved ones, and journeys of emotion. When readers talk of place as a character in novels, there are moments like that in this collection as well, like in “Beauty and Magic at Barone,” about the Barone Beauty Academy in Sunbury. I imagine that you have only stepped out for an evening walk. and carried off so easily? Remember the Sun: Poems of Nature and Inspiration by Melanie Simms is a satisfying collection of poems and photographs that breathe life into the activities of a small town. These people are no different than those that live in big cities; they still have dreams and big loves, and devastating losses. Melanie served as the Perry County Poet Laureate from 2005-2006 and has published in over 180 newspapers, magazines, and poetry journals; her poems have been featured on state and local television shows and over fifty poetry radio programs. She has been a featured artist at various Pennsylvania colleges, high schools, and landmarks including but not limited to National Poetry Month at the Degenstein Community Library with presentations by State Rep. Lynda Schlegel-Culver and Sunbury mayor David Persing. Her awards include a Sophie Award, Finalist in the Richard Savage Poetry Award (Bloomsburg University), Perry County Poet Laureate (2005-2006), a Vermont Writers Studio Award, a Pushcart Prize Nomination, Marquis Who’s Who of The World, Cambridge Who’s Who of Women in Publication, Poet of the Week (Poetry Superhighway), and an Evvy Award nomination for Waking the Muse (best self-published book in the poetry category). She is a President and Founder of the Association of Pennsylvania Poet’s Laureate (founded 2006) and a member of the World Poetry Society and The Daughters of the American Revolution. To learn more, visit her Website. Unfortunately, I haven’t written any more haiku since last week. I still plan to have 30 haiku by the end of the month, so I will hope to write some this weekend and all next week. However, I thought today would be a good day to recap some of my favorite poetry books from this month, as well as some of the fantastic poetry posts I’ve seen this month. I’ve been poking around the Internet this month, and I came across some great posts from participants in this year’s blog tour and on Twitter. I thought this would be a great time to share them. Jeannine Hall Gailey recently interviewed Director of Sales and Marketing for Tupelo Press Marie Gauthier, who also is a poet and author of Hunger All Inside, about PR and poetry. While there are a number of PR companies out there for fiction and nonfiction writers and many publishing houses have marketing campaigns in place, poets tend to be on their own in the abyss of the Internet and marketing their own books. It’s one of the reasons I started Poetic Book Tours — I wanted to fill a niche for these poets. 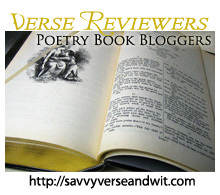 Jill at Rhapsody In Books is one of my favorite participants in the blog tour every year because she always has some great posts about song lyrics and poetry. Becca at I’m Lost in Books had a very insightful and personal story about poetry’s role in her life, and it was so moving, I had to highlight it here. Parrish Lantern had a fantastic post on Haiku this month, which I hope you will all read. I’ve participated in the Split This Rock! Festival a few times, and I was thrilled to read about Sarah Browning’s journey that landed her in the role of Executive Director; it’s an inspiring story about the power of the written word. The Robot Scientist’s Daughter by Jeannine Hall Gailey because I’ve been fascinated with nuclear research for a long time, since I first studied WWII in high school. It’s awe inspiring how much the human mind can create and destroy all at once, developing something that can provide energy but that can also destroy us all at once and even gradually. There is so much in this collection to think about and reflect upon. Paradise Drive by Rebecca Foust is a great collection of sonnets that outlines a pilgrim’s journey through the modern world, not unlike the journey Dante takes in the Divine Comedy. While these poems are a classic form, these are so fresh that they are as unforgettable as the classic poets crafted. Banned for Life by Arlene Ang is another stunning collection of poems from a poet I found by accident long ago. It is by turns morbid and dark, but there also is a beauty in death that she highlights with deft strokes. Moments of comfort and moments of despair are treated in equal measure, just to remind us that we control how fulfilling those lives can be. What do you notice about this list? They are all women and they are all strong women talking about tough issues! Have you read any great collections this month or even just come across some great poems? I’d love to hear about them. 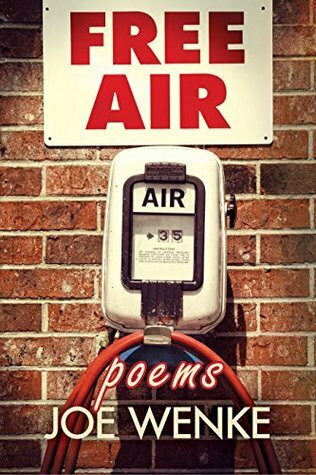 Free Air: Poems by Joe Wenke is a satirical collection of poems that deftly plays with rhythm and rhyme. These poems appear at first glance to be off-the-cuff statements and observations, but that’s if they are taken too seriously. Take the “Lament of an Old Man” who is saddened by the passing of time and facing his own mortality where the narrator jokes about how he is just getting the hang of life and it is about to end. There’s a self-deprecating humor at play here, but aren’t these many of the same observations we make as we age? Readers will enjoy these playful pieces in which the narrator is tricked by his own brain in “I Think Without Thinking.” Wenke is almost whimsical in his choice of words, ensuring that they rhyme or provide the necessary sing-song nature of these poems. However, there are some beautiful poems as well that are less about being humorous, though they still may contain humor. One of my favorites, “Star Stuff,” begins with a quote from Carl Sagan and how we are made of star stuff because our DNA is made of nitrogen, iron, calcium, and other elements found in collapsing stars. Free Air: Poems by Joe Wenke is a fine collection to pass a warm, spring day reading in the sun. Stopping to chuckle at the lines or to reflect on the deeper meaning. But there is much more beneath the surface of these lines, as Wenke seeks to raise awareness about how “free” we really are and how finite the time we have is. 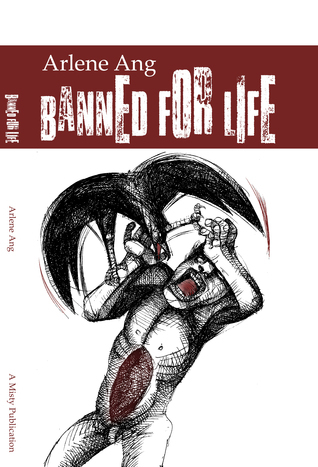 Banned for Life by Arlene Ang is a collection of poems in which all is not as it seems. She is an inventor of transforming verse in which death takes on a new life and ghosts are the living. The collection begins with a quote from Anatole France that sets the tone: “All changes, even the most longed for, have their melancholy; for what we leave behind us is part of ourselves; we must die to one life before we can enter another.” Whether we are looking at the crime scene and all the parts except for the dead girl at the center or considering the mass extinction of pigeons in Venice, Ang has caused us to pause and rethink our perceptions. Her poems speak to not only the temporary nature of life in the body, but also the temporary nature of the impressions we make while we live and interact in society. Ang juxtaposes the beautiful and the horrifying, challenging her readers to see the gruesome allure of death, murder, and more. In “Field Trip,” “The man under the bus was previously dead. … The smell of rot became his speech and, towards the end, we were all talking about it … There was oil all over him and oil all over the dead man in the manner of really good excuses to start a war.” Stories within stories unfold in these poems as the characters tell lies to themselves, to the narrator, and the reader. It is up to the reader to uncover the truth. in something as absurd as ballet shoes and plastic gloves. Banned for Life by Arlene Ang is filled with the beautiful moments of sitting by a dying mother in her last days to offer comfort in any way the narrator can (“To Sweat”), which are then juxtaposed with the deaths of women and men who may or may not have had the same comfort (“Pictures”). Stunning in many ways, readers will want to read every last poem to reach “Rediscovering Paris Through Female Body Parts,” which is by turns exquisitely sensual and unsettling. 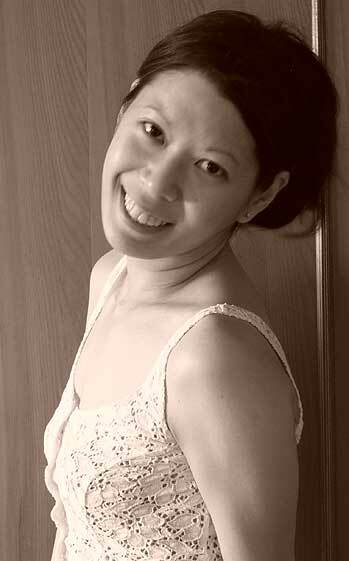 Arlene Ang is the author of “The Desecration of Doves” (2005), “Secret Love Poems” (Rubicon Press, 2007), and a collaborative book with Valerie Fox, “Bundles of Letters Including A, V and Epsilon” (Texture Press, 2008). Her third full-length collection, “Seeing Birds in Church is a Kind of Adieu” was published by Cinnamon Press in 2010. Her poems have appeared in Ambit, Caketrain, Diagram, Poetry Ireland, Poet Lore, Rattle, Salt Hill as well as the Best of the Web anthologies 2008 and 2009 (Dzanc Books). She lives in Spinea, Italy, where she serves as staff editor for The Pedestal Magazine and Press 1. Welcome to the 302nd Virtual Poetry Circle!